When a large number of people are allegedly harmed by a product to the point where hundreds if not thousands of them file lawsuits against the manufacturer of that product, it can lead to a mess in terms of how those claims are handled on court dockets around the United States. Having many of these lawsuits happening at the same time can also lead to much in the way of confusion in terms of the potential for different decisions being made despite many similar facts being entered into evidence at these trials. 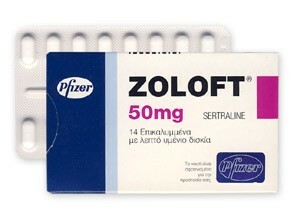 Zoloft is an antidepressant medication that is manufactured by Pfizer, Inc., one of the largest corporations in the world and one of the true giants of the pharmaceutical industry. Unfortunately for many people, particularly pregnant women, alleged Zoloft side effects inflicted a lot of harm on children who were born of mothers who had used Zoloft during pregnancy. These birth defects and other malformations led to the filing of more than 400 Zoloft lawsuits to date, and eventually these claims were consolidated into what is known as MDL, or multidistrict litigation. When these matters progress to a point where pretrial discovery begins, a batch of cases is selected to form what is known as an “Initial Discovery Pool” that will ultimately lead to the claims that are selected as bellwether trials. This group includes 25 individual cases, 13 of which were selected by Pfizer and 12 that were selected by a group of plaintiffs’ attorneys. In addition, the judge overseeing this litigation has released an outline for choosing the cases that will develop into bellwether trials. It is believed that five or six of these individual claims will proceed to that stage. Trends regarding results can be identified. Evidentiary decisions can help plan for future claims. Defense strategies can be clarified. Expert witness testimony will be revealed. The defendant may be prompted to settle future claims. Bellwether trials are always watched very closely by attorneys and future plaintiffs, as they in essence set the stage for what those future claimants can and should expect. While there are more than 400 individual cases that are part of this ongoing multidistrict litigation, that hardly means that everyone who has ever been harmed by alleged Zoloft side effects has come forward to bring a claim. Many people may be hesitating to do so for whatever reason, but those who find themselves in this position need to take charge and look into their legal rights and resulting options. If this includes you or someone you love, now is the time to act by obtaining advice from experienced.